Christmas is almost here! Have you all busted out your red and green polishes and create any cute nail art designs? I really hope so!!! I have seen many bloggers in my feed participating in a 12 days of Christmas Challenge, and well I have been stalking those blogs and loving all the nail art I've been seeing. 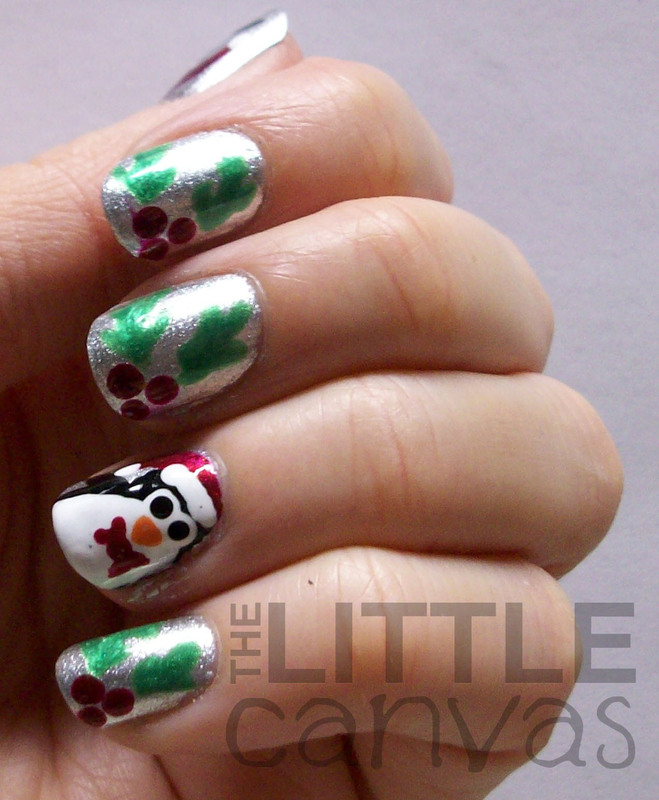 As you all know, I'm in the midst of my own Christmas nail art spree. So far I have posted two designs for you, which I've been receiving positive feedback from. This design I already know is loved by many of you. I posted a sneak peak of my thumb on Instagram the other night, and instantly people were liking the photo. 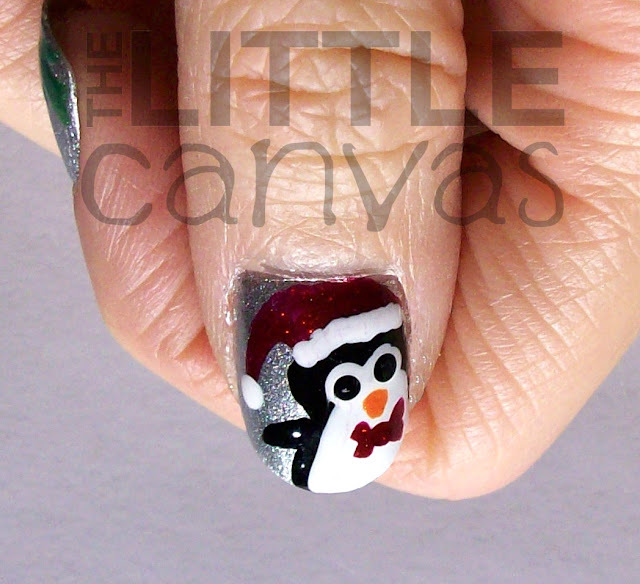 That sneak peek is now my Twitter avatar....a cute little penguin snowman. I got the idea for this manicure from a few places. First, was Pinterst. I had done penguins last year, but nothing like this. They were full nail and kind of bad. These little guys only take up half the nail and lean into the "picture" so to speak. When I googled Christmas penguin nail art, I found a cute Santa penguins accenting holly, Christmas trees, Santa hats, and more. I fell in love with one design, which sadly linked back to a dead page so I can't give proper credit or post it here =(. Anywho, here are my lil guys. Indoor photography = ugh. And for a treat, here is a shot of both hands! 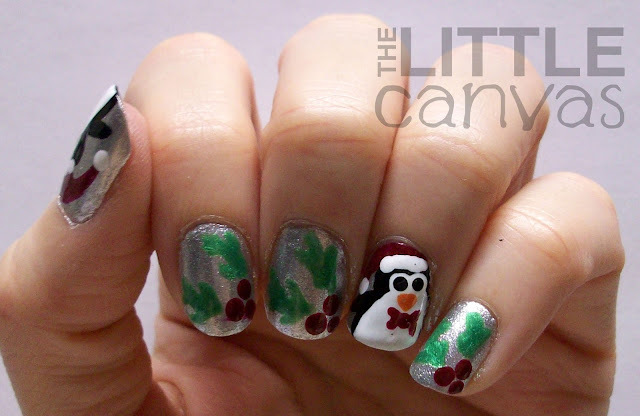 I may have to do a tutorial for these little penguins. They were rather simple! First, with my nail art brush, I outlined a body shape with black polish. Once complete, I filled it in completely with the black. When it was completely dried, I filled in the tummy with white polish. Then, with my dotting tool I added the white circles for the eyes. I then painted on the red hats with my nail art brushes. I then let them sit and dry before adding any more detail since I layered on the white kind of thick. I moved onto the holly nails. With my dotting tool, I added the three berries. The leaves were added with the nail art brush. Since HD Nails by Sinful Colors is a shimmer green, the look of leaves came out almost perfectly on top of the silver polish. Back to the penguins now. With my dotting tool, I added the eyes, and with the brushes I added the lil guys beak and bow tie! Then on top of the hat, I added the white detailing with my dotting tool. Finished with some Out the Door and called it a night. What do you think of the little guys? 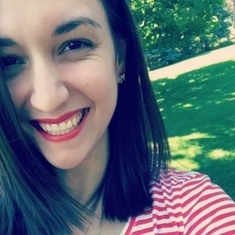 Have you done penguins yet or ever? 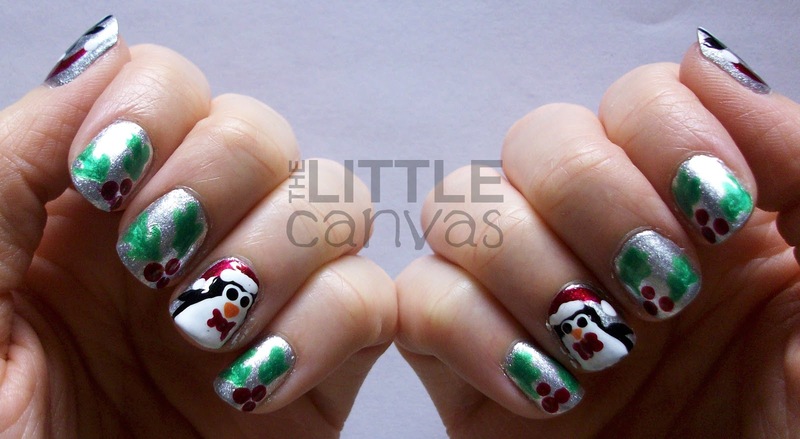 Next nail design to show you.....Christmas lights!!!! Well, if my photos come out well! hahahaha. I have no clue what my spirit animal is. hmmm. haha thank you! It's Christmas Eve!! - Christmas Dot Nails! A Simple Mani with It's a Trap-Eze! Nailed it NZ guest post - landscape nail art!